well known as a resort destination and a playground for the rich and famous. 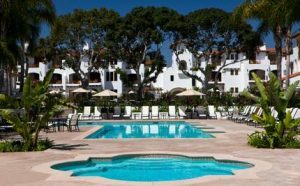 Over the years, many celebrities have owned or rented homes in this prestigious neighborhood, particularly properties adjoining the golf course at the La Costa Resort and Spa, from which this area acquired its name. 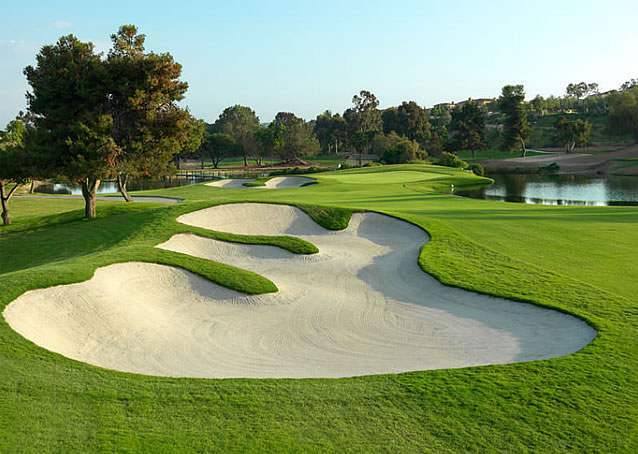 The villages of the La Costa area include La Costa Cay, La Costa Golf Course, La Costa Greens, La Costa Meadowridge, La Costa Oaks North, La Costa Oaks South La Costa Resort, La Costa Ridge and La Costa Valley. The La Costa area was first developed as a golf course, vacation destination and residential area in the mid 1960s. The original resort, which included the Rancho La Costa Inn, later became known as the La Costa Resort and Spa and now the Omni La Costa Inn and Spa, which is how La Costa got its name. Once considered a separate town, La Costa is now part of Carlsbad. La Costa’s reputation as a retreat for the rich and famous is reflected in the housing available in this affluent Carlsbad neighborhood. Gated, high-end condominium and apartment complexes offer some of the more affordable housing options in the area, some of which are located adjacent to the golf course. Detached homes in this neighborhood tend to have larger parcels, and many of the higher-end estates are gated with exceptional views of the resort, hills, ocean or nearby Batiquitos Lagoon. Multi-million dollar estates are common in this upscale community, which is home to some of the most coveted vacation homes and full-time residences in North County San Diego. Part of the charm of La Costa is that it is primarily an upscale residential neighborhood without an abundance of strip malls or fast food restaurants. Fine dining, boutique shopping, and spending an afternoon on the tennis court or golf course is the way of life here. Residents and visitors enjoy boutique shopping along El Camino Real and Aviara Parkway, the upscale stores found in The Forum at Carlsbad, and whiling away weekends in the quaint shops and eateries of the Carlsbad Village shopping area. Residents will also find high-end shopping opportunities at the resort. Well-known chain grocers are readily available, as well as smaller markets, such as Trader Joe’s, offering a more unique food-shopping experience. The resort’s BlueFire Grill offers one of the best patio-dining experiences in San Diego and is a hotspot for the local elite, as well as those who enjoy listening to live music while dining on an ever-changing array of dishes created by the chef. There is also a variety of trendy coffee shops, cafés and restaurants that can be found within minutes of La Costa, including locally and chef-owned eateries offering fine dining experiences for more discerning palates. Movies lovers can catch the latest releases at Cinepolis Luxury Cinemas or UltraStar La Costa 6, while families will enjoy being in such close proximity to Legoland, the Museum of Making Music, Agua Hedionda Lagoon and SEA LIFE Carlsbad Aquarium. Nearby parks and outdoor spaces include Aviara Community Park, Poinsettia Community Park, Batiquitos Lagoon, Hawk View Park and Leucadia Oaks Park. Golf courses within a short distance include the Omni La Costa Inn and Spa Golf Course, which is in this neighborhood, as well as the Aviara Golf Club and Encinitas Ranch Golf Course. The resort also hosts prestigious golf and tennis tournaments throughout the year. Of course, the beaches of Carlsbad are just minutes away as well, making this an ideal location for those looking for upscale living that is just minutes from the array of recreational opportunities scattered throughout Carlsbad. Which schools young residents will attend depends on where they live within the La Costa neighborhood. Some areas are served by the Carlsbad Unified School District, some are served by the San Marcos School District and some are served by the San Dieguito Union High School District. Some of the schools serving La Costa residents include La Costa Meadows Elementary School, Aviara Oaks Elementary School and Aviara Oaks Middle School. The La Costa neighborhood of Carlsbad offers quintessential Southern California living at its finest. If you are looking for a primary or secondary residence where you can enjoy all that the San Diego lifestyle has to offer, including beautiful beaches, golf, tennis, upscale eateries, boutique shopping and an array of entertainment options, La Costa just might be the right Carlsbad neighborhood for you.